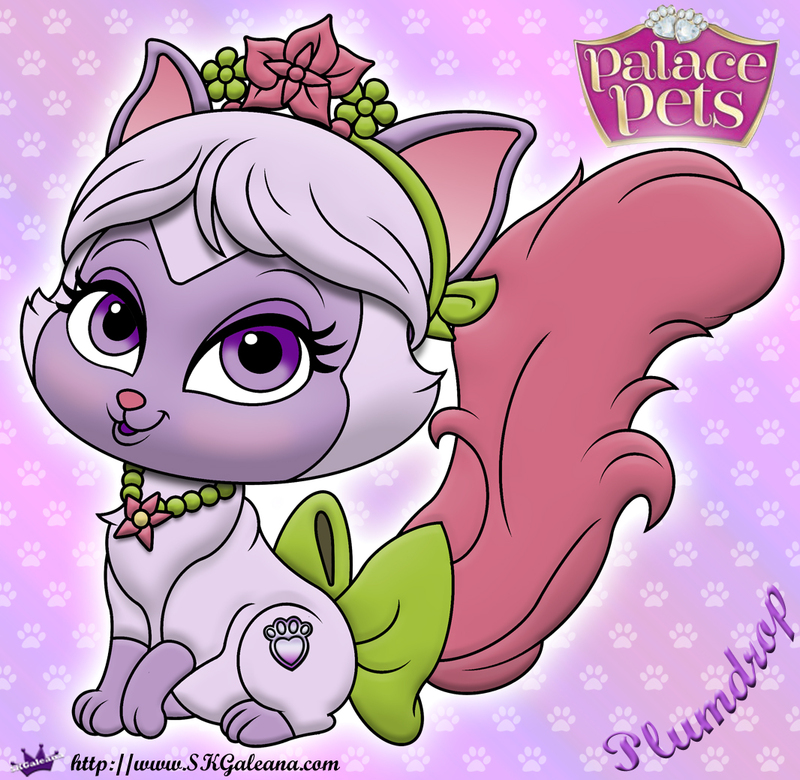 Another Palace Pet after my own heart, A Purple Kitten named Plumdrop. Adding purple to any palace pet makes them totally adorable…if you haven’t guessed, purple is my favorite color. I suppose that is why I love coloring pages, I can change the color of a princess palace pet to any color I wish, such as purple. Plumdrop, however, will not need a change, in my opinion her beautiful lavender fur and dark lavender face are perfect in all their purple shades of royalty. Mulan is one lucky owner to own a purple cat, especially one so cute. Learn more about Plumdrop below. Don’t forget to grab the free coloring page I created featuring Plumdrop the kitten. Plumdrop might not bring good fortune, but she’s definitely an amazing kitty! Her bright colored hair reflects her joyful and happy disposition, and makes her look even more unique. She loves tickling Mulan with her long whiskers, and when she’s around everyone can’t help but smile. Mulan was feeling a bit down, so she visited Grandma Fa for a nice cup of tea. But the old woman surprised her with an unexpected gift: a beautiful kitty! She told Mulan that Plumdrop bought good fortune, but then the curious cat climbed in the table to take a look inside the teapot and bumped into the cups, spilling tea everywhere. Oops! The little one stated licking the tea to clean up everything, but she didn’t like it, and Mulan couldn’t help but laugh. It certainly made her day! Since then, the teo have been inseparable. Plumdrop is still quite clumsy, but she’s always ready to do her best to make up for it. Plumdrop is a lavender kitten with purple highlights on her face and paws. She has a bushy pink tail. She wears a large green bow on her tail, a flower necklace and a flowery pink and green tiara in her hair.